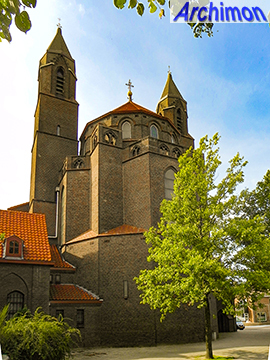 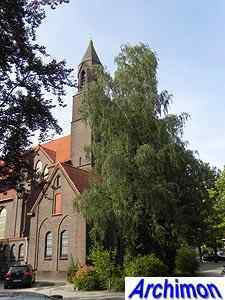 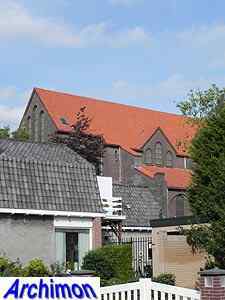 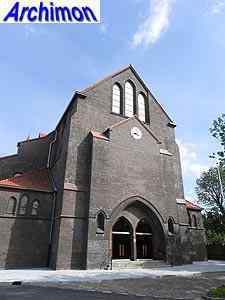 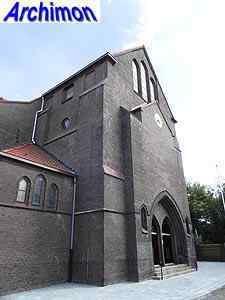 In September 1927 Oldenzaal's third parish was announced, the Allerheiligste Drieëenheid (Most holy trinity). 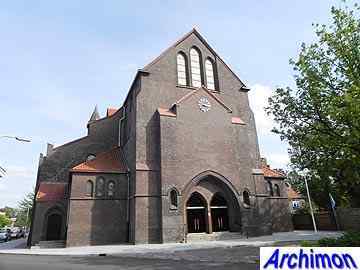 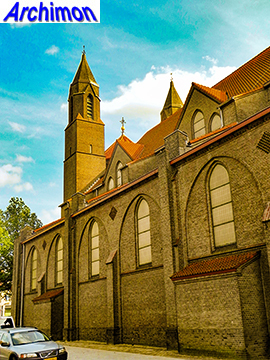 Within a couple of months, architects Wolter te Riele (Utrecht) and Karel Croonen (from Oldenzaal itself) were commissioned together to design a modern yet classic church, as well as a presbytery. 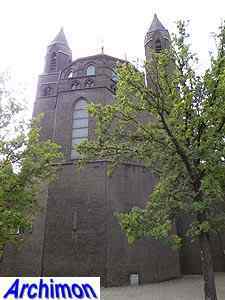 The result was a big three-aisled basilica with wide aisles and a tall choir with a polygonal dome and two flanking towers. 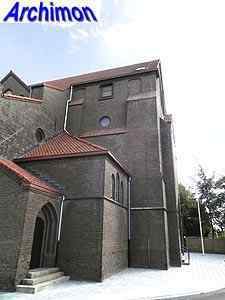 Although the design included a tall west tower, only its lower part was built because of the lack of funds to complete it. 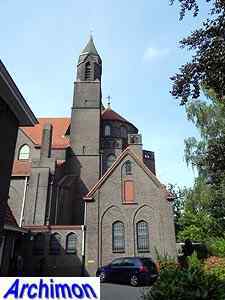 Croonen's role in the design of this church is unclear. 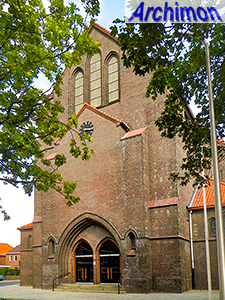 He designed the town's second parish church, the H. Antonius van Padua, almost two decades earlier. 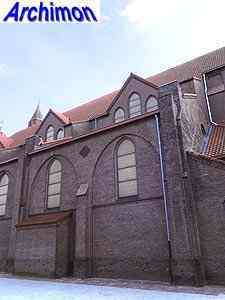 Like the Antonius, the Most Holy Trinity is in a neo-Gothic style, but with references to Expressionism. 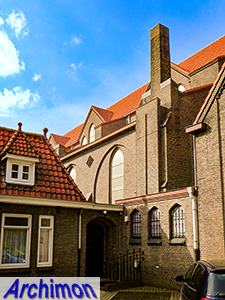 What's more, many of the church's features are easily attributed to Te Riele. 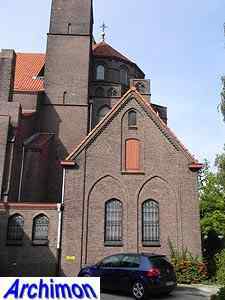 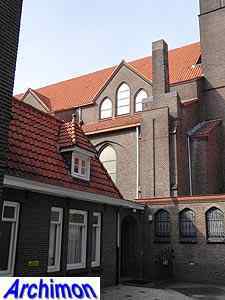 The gables of the clerestorey are a bit similar to those of the H. Hart van Jezus in Arnhem, the polygonal dome of the choir was not unlike the crossing-tower of the St. Jan in Laren while the two towers at the back remind of the St. Joseph in Hilversum. 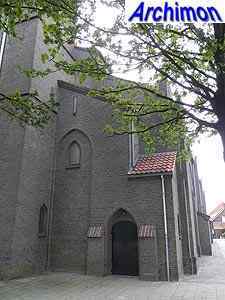 Croonen died during the construction of the church.